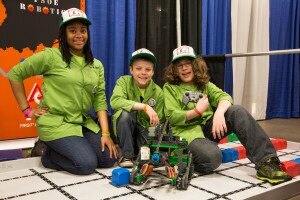 Through the generosity of our sponsors, the REC Foundation Team Grant Program seeks to match schools and organizations that are interested in adopting the world’s largest and fastest growing academic robotics competitions with the program resources necessary to get started. This unique program allows the REC Foundation to provide the resources needed to inspire the next generation of scientists and engineers. These grants are intended for schools and organizations that are not currently participating in one of our programs: VEX IQ Challenge, VEX Robotics Competition (VRC), and VEX U. VEX IQ Challenge grants are for elementary and middle schools (grades 3-8). VRC grants are for middle and high schools (grades 6-12). The team grant application form for each state indicates which items are covered by the available team grants and which items the school or organization is required to purchase. Your REC Foundation Regional Support Manager can provide additional information. NOTE: REC Foundation and Girl Powered Grant applications for the current season closed on November 1. Teams applying for a grant should follow the instructions in this document. To find the right grant application for your state scroll through the table below. Enter your state in the search box to the right and you can quickly see the grants available in your area. The VEX IQ Challenge Team Grant Bundle includes the VEX IQ Super Kit, Competition Add-On Kit, and Foundation Add-on Kit. VRC Team Grants include the V5 Competition Starter Kit and a $200 voucher at VEXRobotics.com. Many colleges and universities offer scholarships to students participating in our VEX competition programs. Learn about them on our Scholarships page.